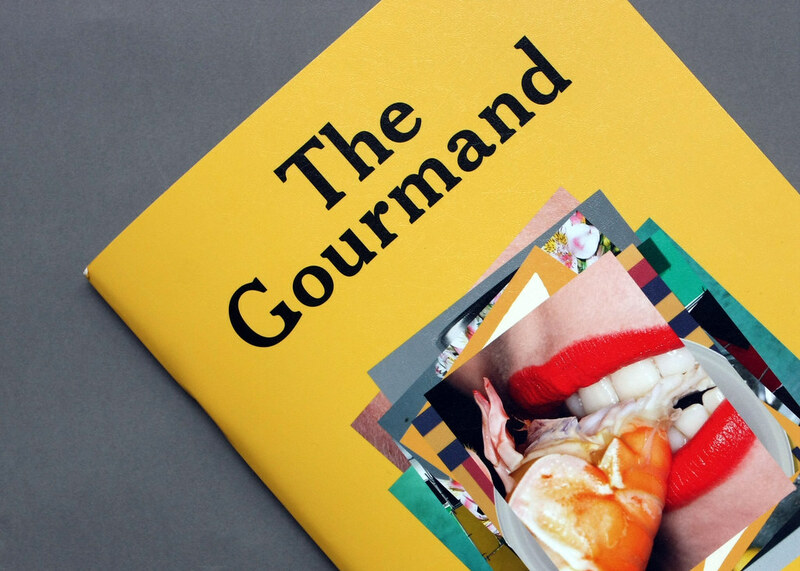 The Gourmand, a new food and culture journal, hinges on the way food brings people – especially creative people – together, shaping their conversations, writes Sarah Snaith. 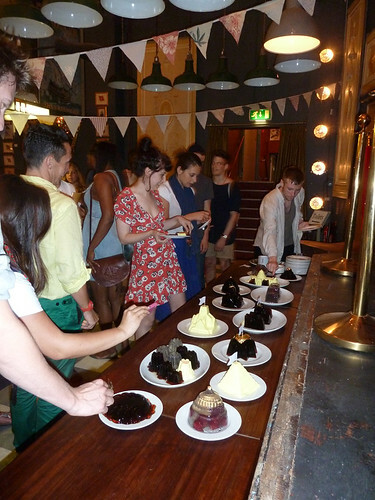 The launch party, at Vauxhall’s Brunswick House Café, did much the same. Born from a dinner with friends in 2011, the publication draws together contributors Rod Stanley of Dazed & Confused, Paul Teasdale of Frieze magazine and Nadine Morem of the Hayward Gallery, among others. 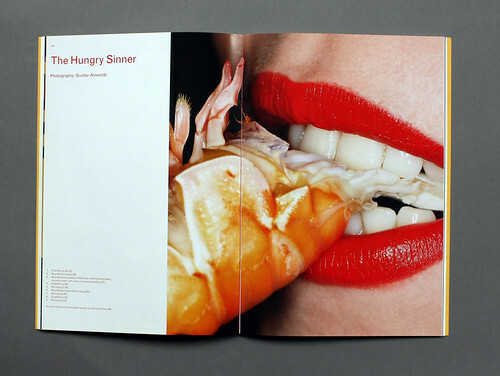 Spread from visual essay ‘The Hungry Sinner’ by photographer Gustav Almestål. The design of the launch issue (number 00) is photographically rich, with the essence of an art catalogue wrapped in a stainproof plastic cover and nicely printed by Lecturis in Eindhoven. 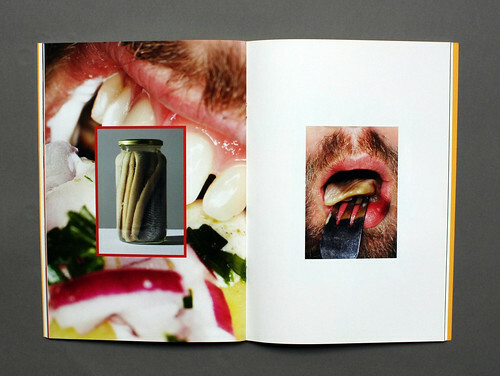 The Gourmand is content-driven in every way, as textually rich as it is visual. Inventory’s David Lane (both art director and co-editor in chief with his partner Martina Tweed), revealed the journal’s unique approach to interviews. He cited Natasha Hoare’s meeting with artist Matthew Darbyshire as an example, a conversation over the act of baking Jeff Koons’s recipe for apple dumplings. 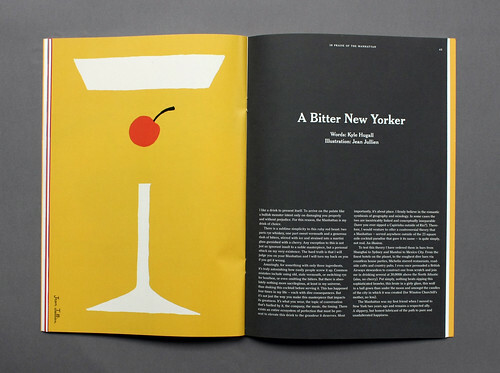 ‘A Bitter New York’ by Kyle Hugall, illustration by Jean Jullien. 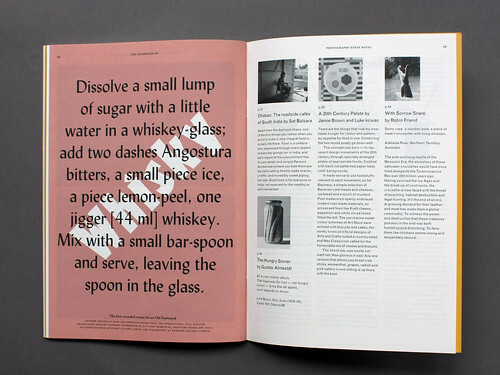 The Gourmand differs from conventional food magazines in two significant (and welcome) respects. Celebrity chefs are conspicuous by their absence. And while recipes make a minor appearance in the back pages, they are included for entertainment rather than culinary excellence. Four visual essays scattered throughout tackle topics such as crocodile farming and twentieth century design movements. ‘Photography essay notes’ fall on a back page, leaving the reader to make decisions about their significance. At the launch some heavily moustached men unknowingly re-enacted Gustav Almestål’s disturbing (if you have a problem with moustaches) photo essay ‘The Hungry Sinner’, sinking their teeth into fried chicken canapés instead of soured herring. On a less sour note, the night ended with London’s finest ‘jelly architect’ Sam Bompas who set out a decadent, almost lethal array of alcoholic jellies – some in the form of cathedrals or pyramids, others gilded and all extremely wobbly. 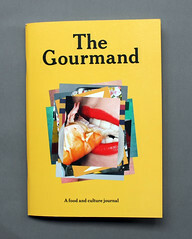 You can order The Gourmand from http://thegourmand.co.uk/ or purchase from Magma Books, Artwords, Darkroom and KK outlet.